The Lexus RX is a midsize luxury crossover with a soft ride and practical design. The current-generation, introduced for the 2016 model year, added a healthy dose of style to its practical merits. For nearly two decades, the RX has been practically synonymous with midsize luxury crossovers. In its more fashionable current form, the RX retains its fine road manners. There are no major changes for 2018. Enform Safety Connect and Service Connect are complimentary for 10 years (previously one year) on 2018 Lexus RX models, and the 2018 RX 450h offers more options than before. The 2018 RX lineup is as broad as before. 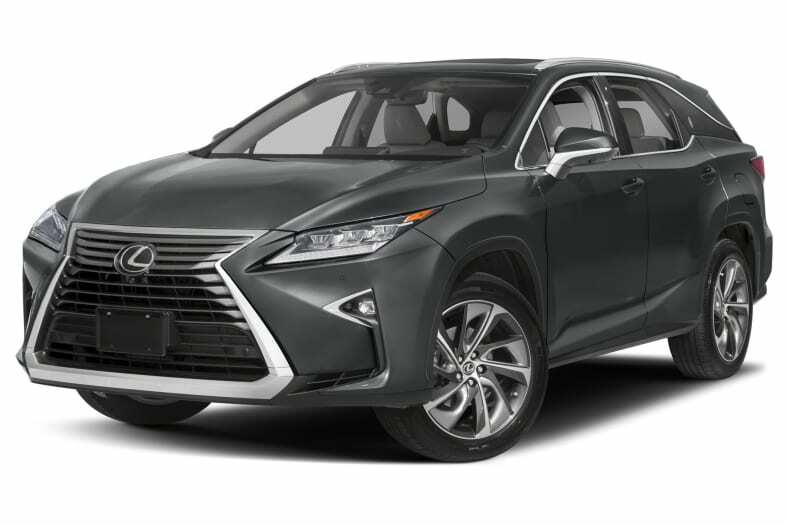 The RX 350 comes with a 3.5-liter V6 that develops 295 horsepower and 268 pound-feet of torque. Running on a lean combustion cycle for best gas mileage, the V6 mates with an 8-speed automatic transmission. Front-wheel standard is standard, with all-wheel drive an option. RX F Sport models include paddle shifters, as well as remapped steering. Adaptive shock absorbers respond to changing road-surface conditions. The gas-engine RX isn't as quiet-running as it used to be because sports appeal has been added. F Sports are louder yet, because intake sounds from the engine are amplified and sent into the cabin, ready to stimulate the aural sense of enthusiastic drivers. A Drive Mode Selector provides Sport and Eco modes. Lexus continues to produce hybrid versions. The RX 450h blends a lower-power V6 gas engine with batteries and electric motors that power rear wheels, resulting in an all-wheel-drive powertrain. Combined output is 308 horsepower, sent to a smooth-operating continuously variable transmission (CVT). Every RX includes forward-collision warning with automatic emergency braking, adaptive cruise control, active lane control, automatic high beams, and a rearview camera. Blind-spot monitoring and surround-view cameras are optional. The National Highway Traffic Safety Administration has given the front-drive model four stars overall, while the all-wheel-drive version gets the full five stars. Both got five stars for side impact, but four for frontal crash protection. The Insurance Institute for Highway Safety awarded the (identical) 2017 RX its Top Safety Pick Plus designation. The RX earned Good results in each crash-test, meeting the organization's standards for advanced safety technology and headlight quality. Frontal crash protection was judged Superior.